Tomato ketchup is a nineteenth-century creation–the union of the English tradition of fruit and vegetable sauces and the growing American infatuation with the tomato. But what we know today as ketchup emerged out of a debate that raged in the first years of the last century over benzoate, a preservative widely used in late-nineteenth-century condiments. Harvey Washington Wiley, the chief of the Bureau of Chemistry in the Department of Agriculture from 1883 to 1912, came to believe that benzoates were not safe, and the result was an argument that split the ketchup world in half. On one side was the ketchup establishment, which believed that it was impossible to make ketchup without benzoate and that benzoate was not harmful in the amounts used. On the other side was a renegade band of ketchup manufacturers, who believed that the preservative puzzle could be solved with the application of culinary science. A renegade band of ketchup manufacturers who spurn benzoate and put their faith in culinary science! It’s brilliant. 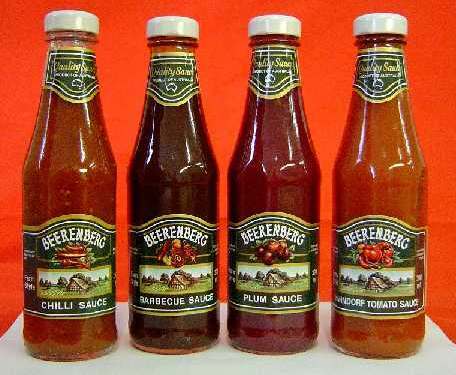 For the record, the best sauce in the world is South Australia’s Beerenberg Hahndorf Tomato Sauce. You can get it in the David Jones Food Hall; I highly recommend picking some up.